“WOW, I AM SO EXTREMELY EXCITED I COULDN’T TALK AND THOUGHT. I might wet my pants. Lol. I will talk to my wife and get back with you asap. She is at work right now. I STILL AM IN SHOCK. IN SHOCK. With the help of Michelle Marx from Meesh Travel (www.meeshtravel.com), we got the ball rolling, and they were setting sail in no time! Below you will read their emails to Team Gleason when they returned. 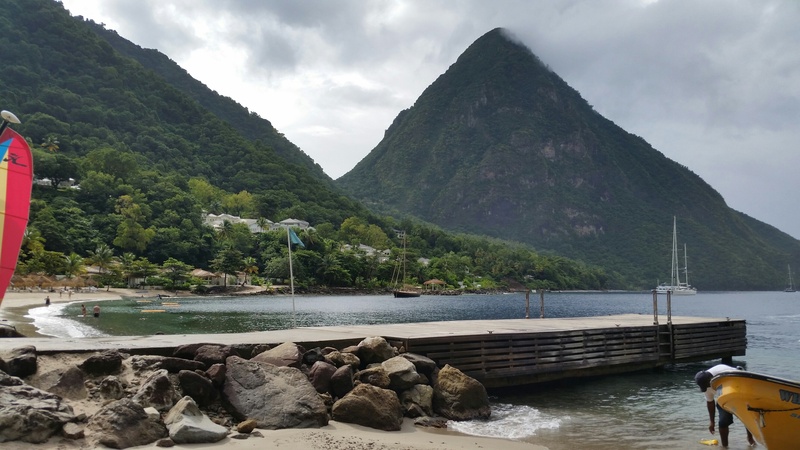 “Our trip was amazing and one I will never forget! 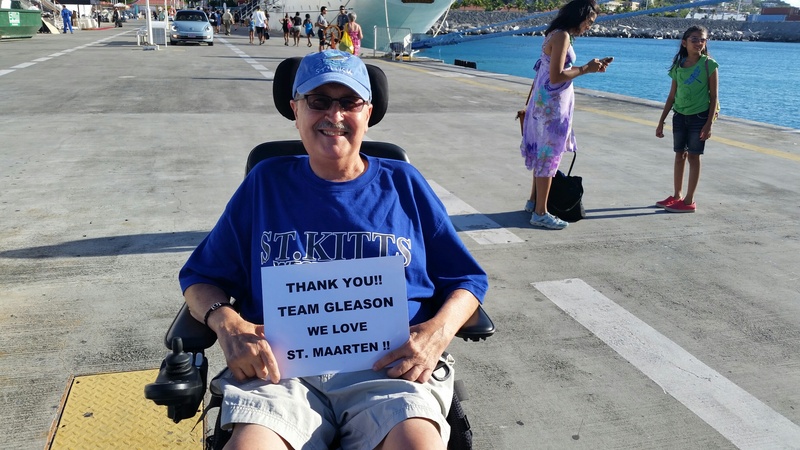 Everything went smoothly and we are so very very grateful to you, Steve, and Team Gleason for giving us this trip of a lifetime. The tours, excursions and massages were wonderful too. The best anniversary and Christmas trip ever. 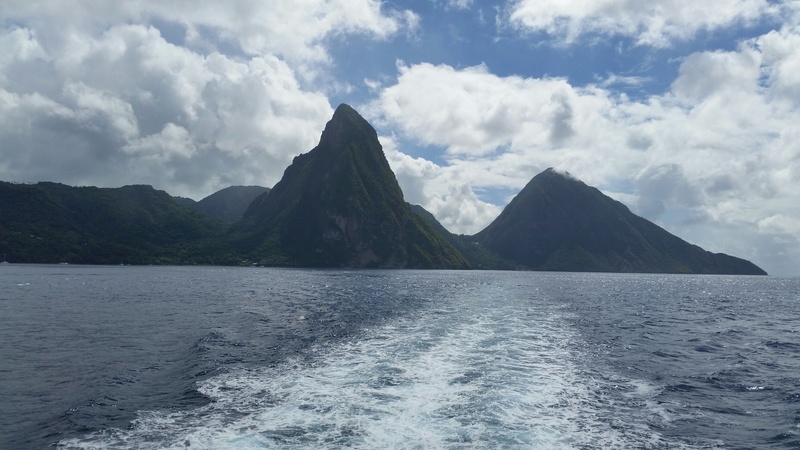 Debbie went snorkeling at the Pitons, in St. Lucia. She said it was like putting her head in a giant aquarium as the fish were so beautiful with the different types and colors. 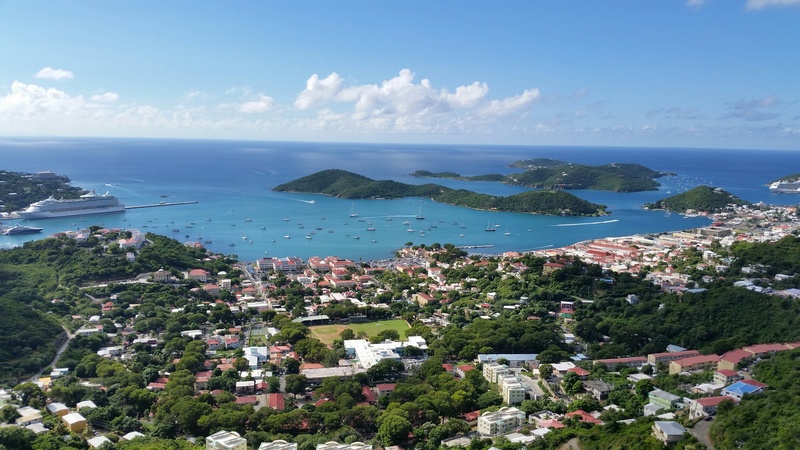 St. Lucia, St. Kitts, St. Thomas, and St. Martin were all beautiful. 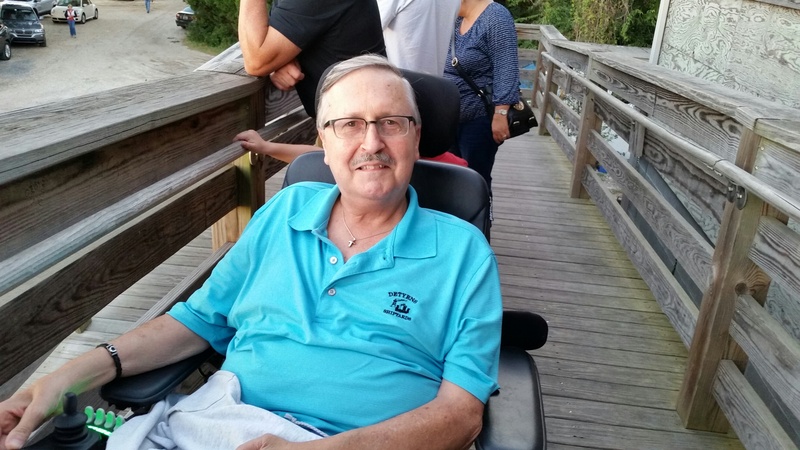 I got to go on a couple of tours when we found vans that had power chair lifts. The tours were amazing and the tour guides let me out at each stop. Our room on the ship was huge and great for accommodating the wheelchair. The room was for handicapable people from the living room to the shower areas. I would highly recommended room 7228 on the Carnival Valor. Oh, the banana daiquiri s were also great. !! “Happy New Year to you! And THANK YOU FROM THE BOTTOM OF OUR HEARTS for our wonderful Christmas cruise!! We had a wonderful time filled with fun, sun and beautiful islands. 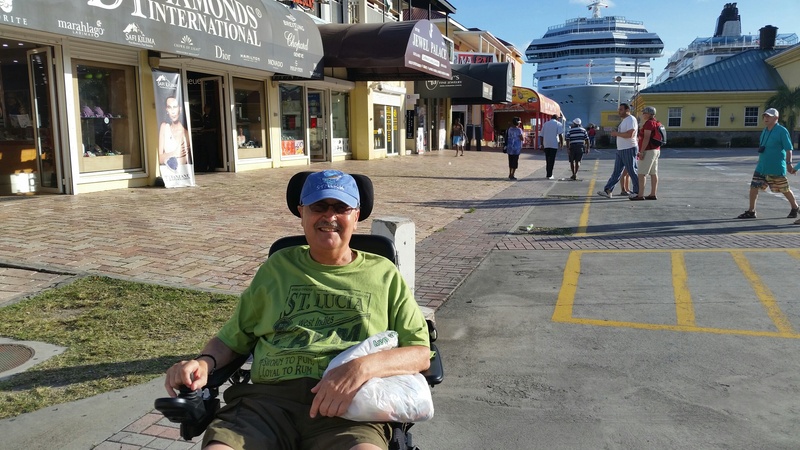 Larry did so good in his power chair the entire time and the handicapped accessible suite and bathroom on the ship worked out perfectly for him!! Our private balcony was the size of two rooms and it was so awesome to lay in our bed and have the curtains open to watch the sea and scenery and wake up with the sun every morning! And can you believe it – the couple we sat with at dinner had lived in Charleston for seven years!! He is a pediatric oncologist and worked at the same university (MUSC) as I do!!! We know the same people that I work with! And his wife has MS and was in a scooter on the ship. 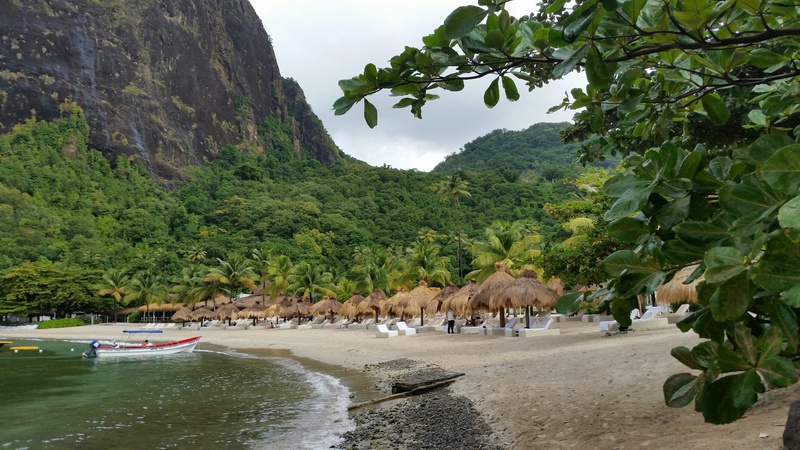 We became friends and even went snorkeling at the base of the Pitons in St. Lucia!! It truly is a small world!! 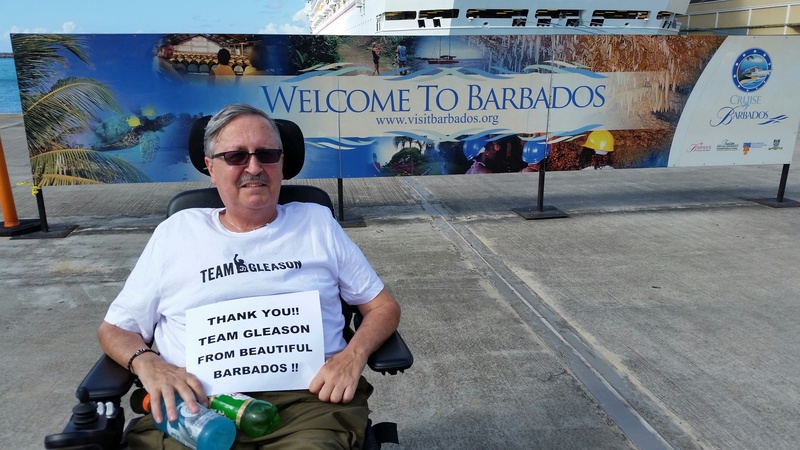 Larry was able to go on two handicapped accessible tours in vans with hydraulic lifts, one in St. Thomas and one in Barbados which was fantastic! The one day I went out by myself Larry treated himself to a massage and his first ever facial and shave!!!! He was very excited about that was totally relaxed and looked great! I also enjoyed a wonderful hot stone massage one day. 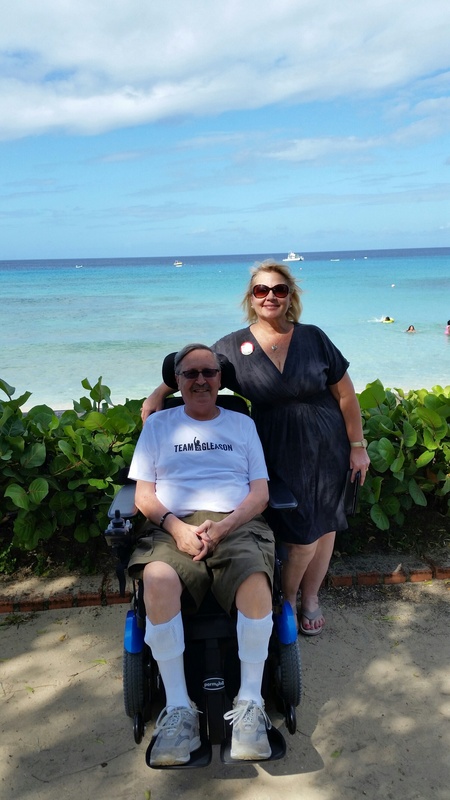 The airline treated Larry very well and took him right up to the airplane door in his power chair at each connection. 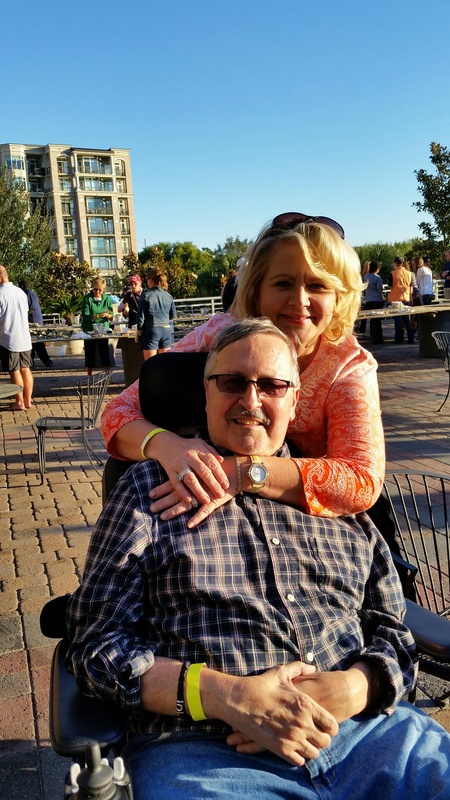 We had no problems whatsoever with his power chair and were so grateful for that. 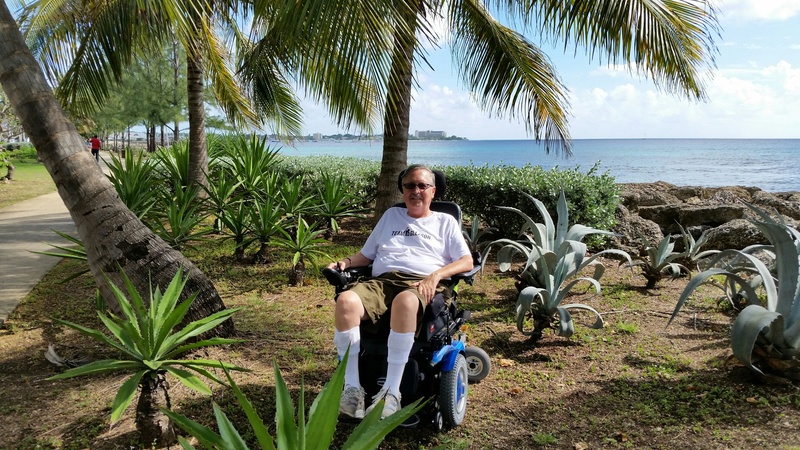 Larry was able to go all the way into downtown St. Maarten with his chair and ride along the boardwalk where we enjoyed a wonderful lunch on the beach! 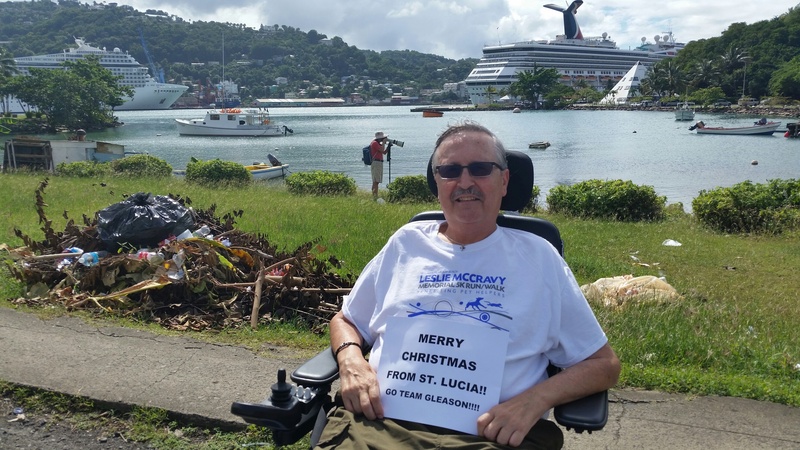 We couldn’t believe we were actually in St. Lucia on Christmas Day!! The water in Barbados was turquoise clear and we had conch fritters for the first time!! 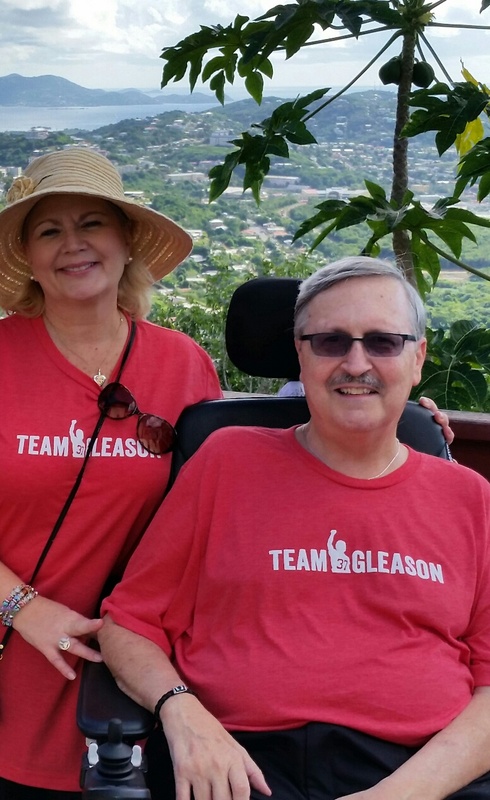 We both wore our Team Gleason T-Shirts for the day and on our tour in St. Thomas and loved it when people would ask us about the shirts so we could share our wonderful story of our amazing gift and the generosity of Team Gleason!!!!!!!! We can’t thank you enough for the memories we now have of such an amazing experience!!!! !